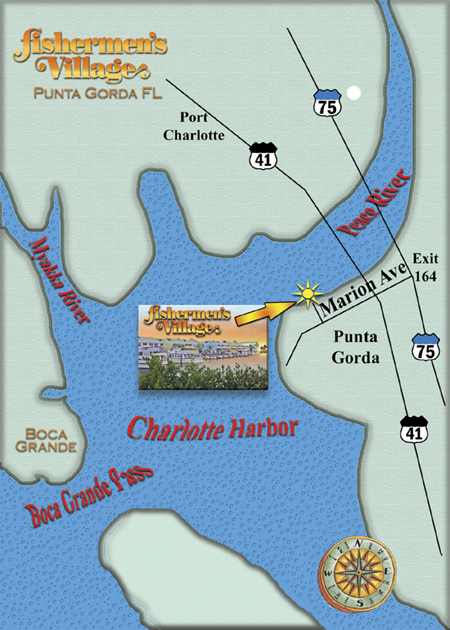 PIER ONE YACHT SALES is located at Fishermen's Village, southwest Florida’s premier resort and marina on beautiful Charlotte Harbor. Our staff who can help you find the boat of your choice, whether it be power or sail, is committed to “exceeding expectations”. PIER ONE YACHT SALES sells pre-owned power and sail boats. So no matter what type or size of boat you are looking for, let our professional staff research our worldwide network to find you the best deal for the best boat that fits your needs for now and in the years to come. PIER ONE YACHT SALES, a member of the Florida Yacht Brokers Association and the European Business Council, can also ship your boat worldwide. If you are looking to sell your boat whether it is power or sail, PIER ONE YACHT SALES can not only help you determine the best possible selling price for your vessel, but we can market it through our worldwide network and advertising resources. We put our industry relationships to work for you. Being located right in Fishermen's Village, voted "MARINA OF THE YEAR" we have over 1.5 million people a year walking by our office. Let PIER ONE YACHT SALES give your boat the exposure it deserves. Owner Len Garofoli, former vice president of Navigator Yachts understands the importance of honesty and long lasting relationships with his customers. This commitment to trust guarantees you the best possible customer service. Whether you are buying a pre - owned Navigator Yacht, Californian Yacht or one of our clean Pre - Owned yachts or a Brokerage yacht you can look forward to "a new course in luxury cruising".